Young Kino is being trained by her teacher. 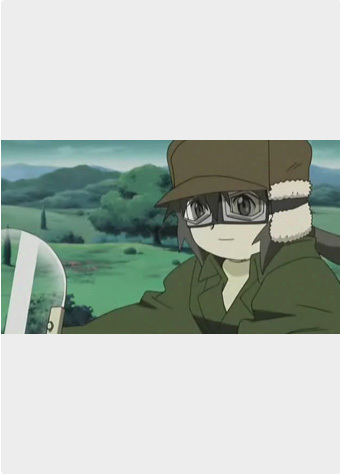 She learns how to ride her motorrad Hermes and develops her gift of excellent marksmanship. However, her guilt concerning the real Kino is with her when she decides to set off on a journey. All the while, Kino is becoming confused about her real identity.